This bracelet exudes elegance that dreams are made of! 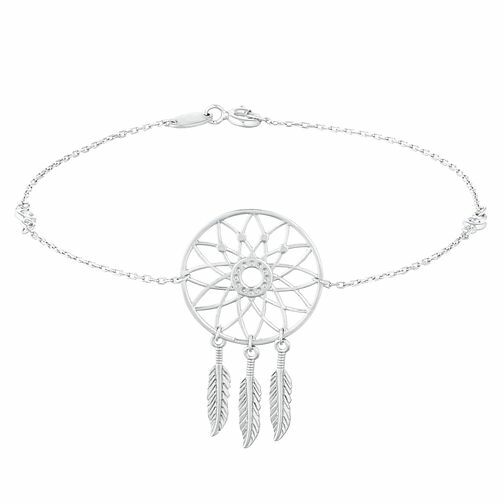 A fine silver chain presents an intricately detailed dreamcatcher charm, complete with dangling feathers and set crystals shimmering in the center. With this piece in your jewellery box, you're sure to keep any style nightmares away.